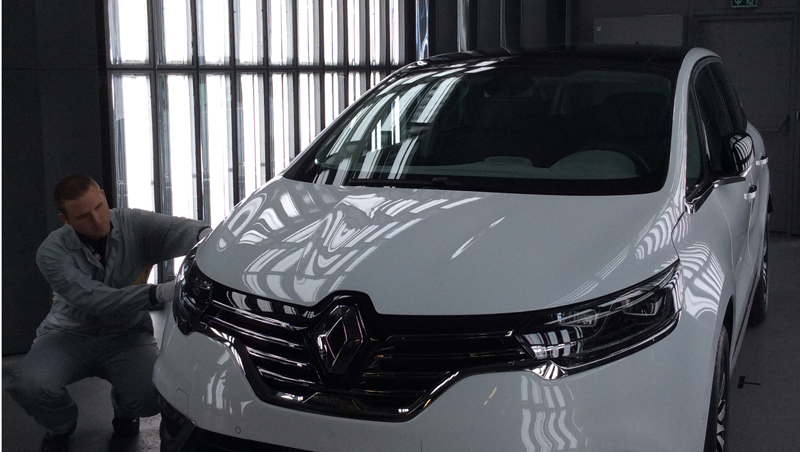 New Espace was one of the main attractions at the Paris Motor Show in October. This large, elegant and robust crossover marks the start of a renewal at the top end of the Renault range. 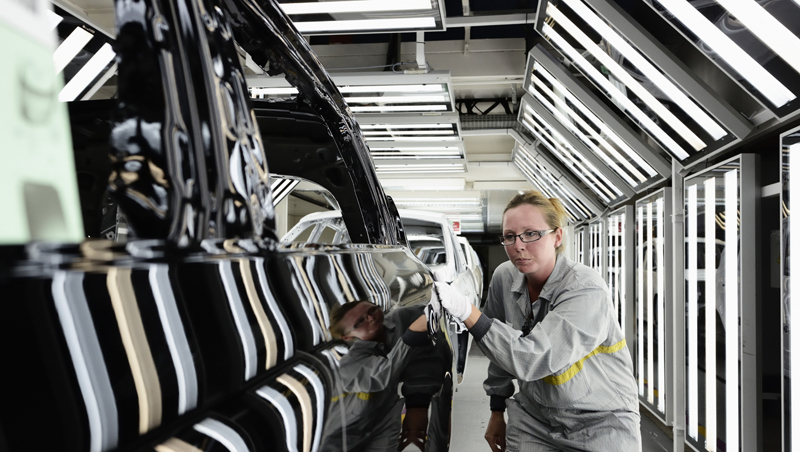 “With New Espace, we are setting even higher standards.” says Philippe Prével, VP, Quality for the Renault group. “To meet the specifications for New Espace, particularly its lightweight construction (1) and high-quality materials, such as the leather and the dashboard, the plant had to make major innovations from both a technical and human standpoint and develop the level of expertise necessary to meet the highest standards in quality.” explains Philippe Brunet, VP, D/E Product Range Program, Renault group. The Douai plant has clearly understood the objectives. 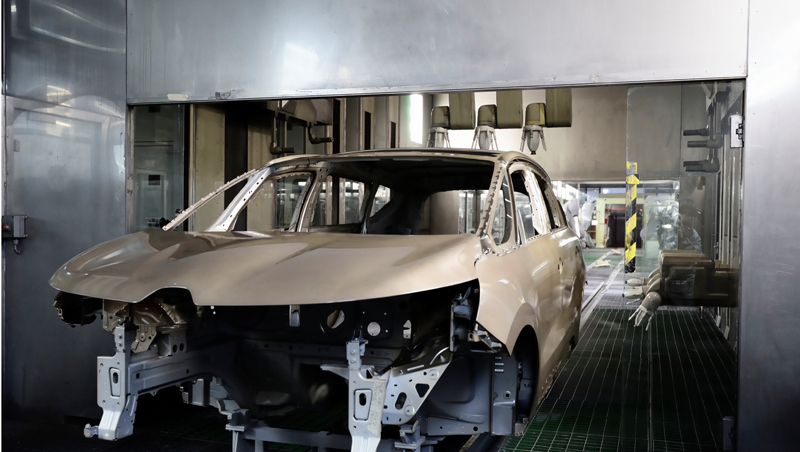 Following an investment of €420 million and a three-year transformation program (2), it is gradually moving upmarket, in both industrial and human terms, in order to effectively satisfy the requirements of customers acquiring the brand’s flagship vehicle. Particularly in the areas of compliance and perceived quality, where the plant plays a key role. The watchword of “Quality First!” guides the plant in its everyday activities. 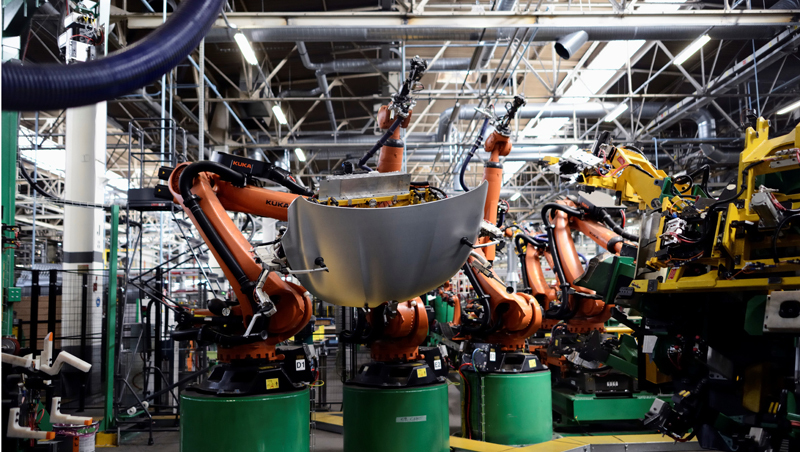 Following a preliminary self-diagnosis, the plant is pursuing a move upmarket based on four components: the fundamentals of the Renault Production Way (SPR); the implementation of a robust compliance program; a new mindset inspired by the move upmarket and a strongly mobilized workforce. 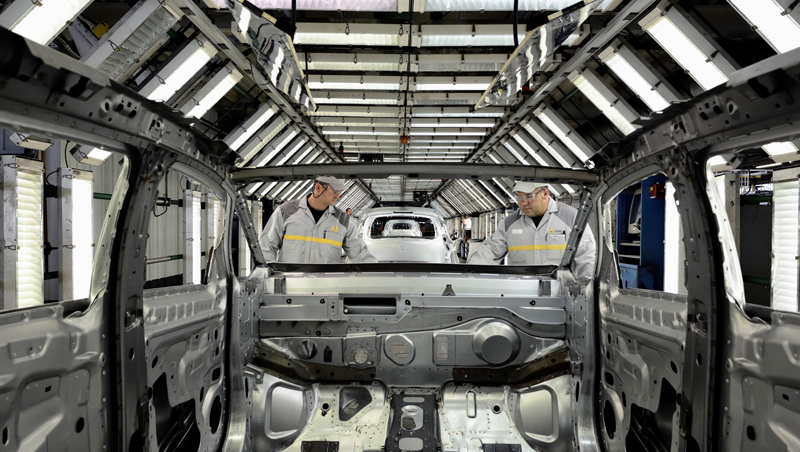 Set up over fifteen years ago, the Renault Production Way (SPR) has now reached maturity. A common base for all Group production sites, it requires strict implementation of its standards to ensure success. To “get it right first time” is the No. 1 aim of all workers; compliance is essential to quality. All the stakeholders involved in building New Espace had to (re)adopt the SPR as their day-to-day guide. 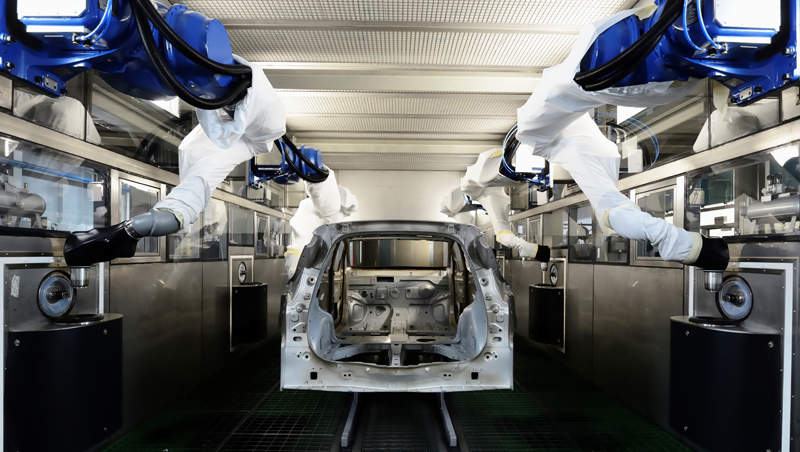 The quality standards required for a top-end vehicle were factored in right from the design stage, then throughout the life of the project, through an ongoing dialogue between the teams involved. The objective: a well designed product built to flawless standards. A vehicle body is said to be “compliant » when it fully respects the standards set out in the engineering specifications, for each function. The plant plays a key role in achieving this. Compliance is first and foremost a geometric issue. In the case of New Espace, 400 dimensional checks were conducted on gap, flush, alignment, etc. Priority was given to points with a direct impact on customer perceptions of quality: 45 key dimensional checks, or 100 measurement results, were identified and are examined by the plant’s quality experts as part of the weekly meeting in the “Compliance Room”, also known as the “War Room” to indicate the level of mobilization required. Compliance is also a fundamental criterion in paintwork. Douai is taking advantage of new know-how, particularly with respect to uniformity of colour, through internal benchmarking. 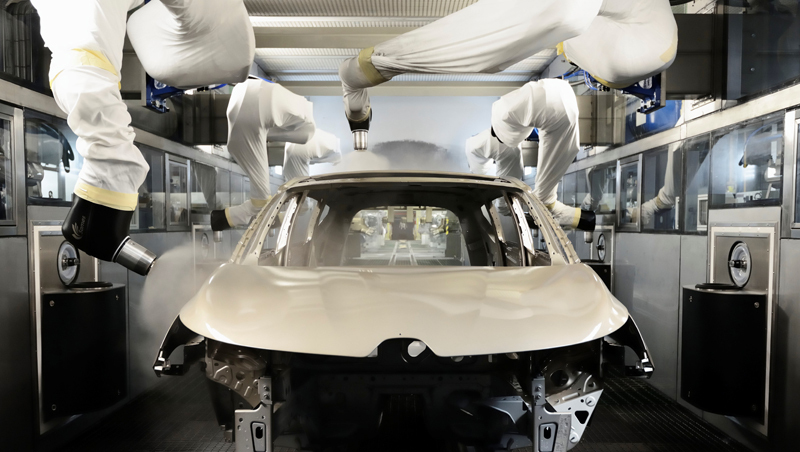 The first prototypes of New Espace were assessed in a light booth set up at the Maubeuge plant as part of the partnership with Daimler. Douai is installing the same system for volume production of New Espace. In this booth, certified experts with the ability to differentiate highly similar nuances, inspect body parts for uniformity of colour. 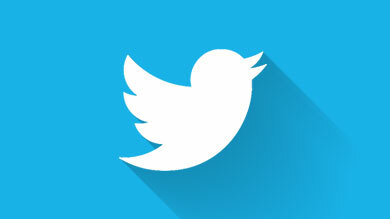 The neutral environment (grey walls) minimizes reflections and other visual pollution. The light, the level of brightness and the angles of positioning are standardized to contribute to efficient assessment. At the same time, every operator at Douai working with mastics followed a special three-week training course in order to learn the technique for placing the mastic along the doors, an operation that is particularly complex on New Espace owing to the deep cut-outs. The challenge was to coordinate the strong points of the product with capability in on-site processes, some of which were new to the Douai site. One of the keys lies in the “passport to an executive plant” training course, proof of the real efforts made to build skills and consolidate know-how in a motivating working environment that shows respect for people. Since July 1, 2013, this four-day training course has been followed by all on-site staff, a total of 100,000 hrs of training in all. The underlying principle is that all functions are interdependent from the standpoint of end quality; each person is a link in the chain formed by the plant. The various functions maintain an ongoing dialogue on the culture of top-end products, production standards, on-site quality, costs, health and well-being in the workplace. This gives all the employees involved in building New Espace the behavioural keys required for products in this segment. Concerning well-being in the workplace, the plant has adopted more demanding standards (and is aiming to go even further over the coming months) on the quality of the staff working environment. 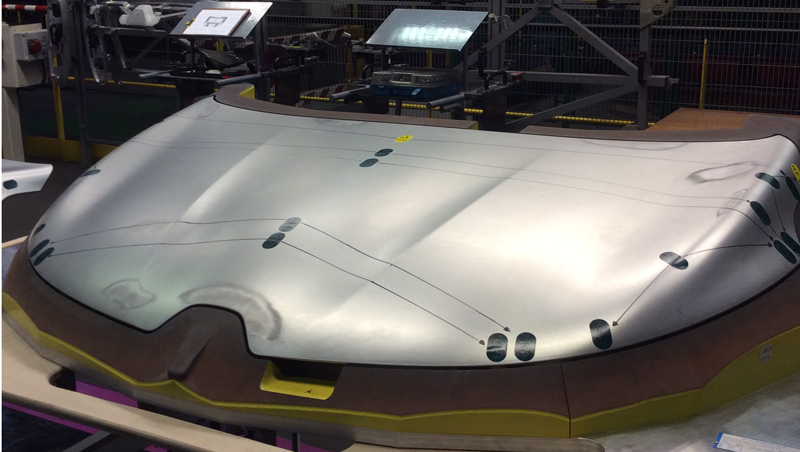 This involves more ergonomic workstations, as illustrated by the variable-height seating in the final assembly shop. This improves concentration as well as contributing to staff motivation, a factor whose impact on end quality is well known. As a result, employees have developed a real sense of pride in being part of the history of this fifth generation of Espace. 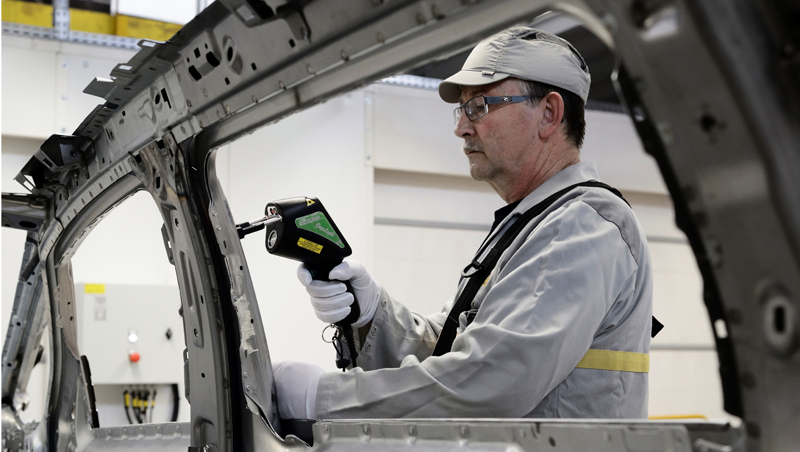 The plant is now seeing a ramp-up in the production process, in which it has gained full proficiency, and is moving with quiet poise towards the launch of a flawless vehicle that meets the requirements of Renault’s top-end customers. () 250 kg lighter than the existing Espace: CO2 emissions and fuel consumption up to 20% lower than with the existing Espace, thus reducing the overall running costs of a vehicle that is aimed primarily at fleets. 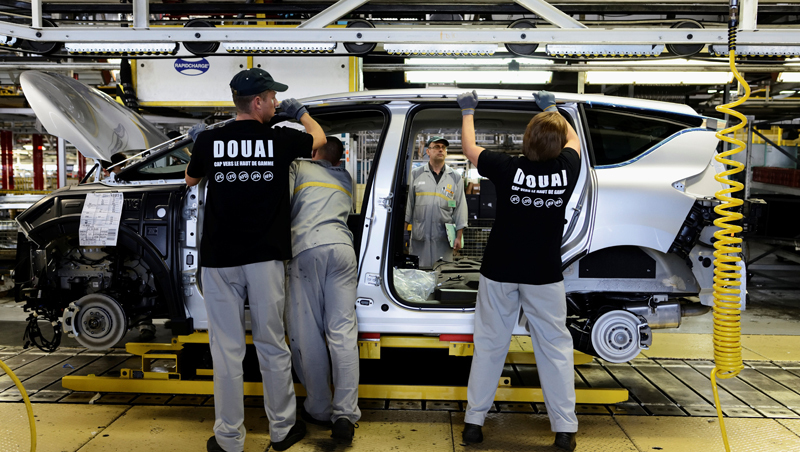 (2) Between now and end-2016, the Douai plant will build five bodies on a single line: New Espace, a new D segment vehicle (two bodies) and the successor to Scénic (two bodies).